This is a two layered cheese cake from HENRI CHARPENTIER. 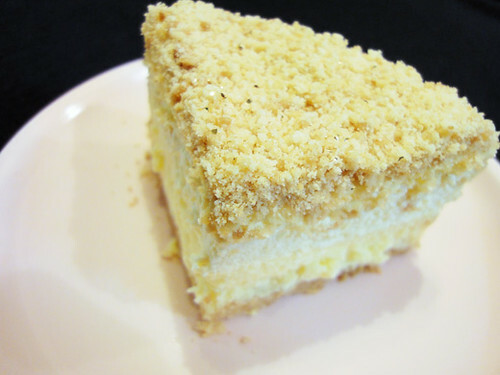 A two layered cheese cake’s combination of cream cheese and mascarpone cheese is awesome. 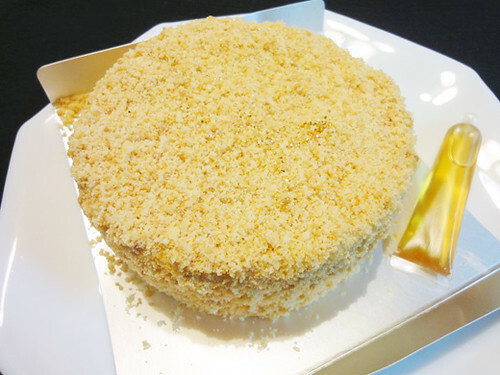 Creamy cheese cake is coated with crushed cookie dough that you can enjoy the crispy touch. You can put some honey and maple syrup on the cake if desired that is appealing and very tasty!